Beguiling MGSV Leather Jacket is the preferred choice of fashion followers like you. The outer shell of the garb is prepared from best genuine leather or faux leather. Comfortable viscose inner lining is provided. The sleeves are long and slim in style. Metal Gear Solid Jacket has quilted arm and shoulders. The front opening is given in asymmetrical form. Quilted elbows are forming unforgettable appearance. The stand up snap tab collar is looking phenomenal. Open hem cuffs are added in sleeves. Metal Gear Solid 5 Leather Jacket has two side waist pockets and one welt zipper pocket on left chest. Two inside pockets are also present. Black compelling color has increased the worth of dress. This is an amazing jacket! Just in time for Biker Stun too, and definitely the kind of jacket I could wear anytime of the year! I ordered the X-Small and that fits just fine. A very high quality product i like it! I will buy more jackets in the future here. I love this jacket, I have been searching something like that about 1 month and this is what I was expecting. Great quality jacket and i received just in 10 days. This is an awesome jacket. I get tons of compliments while wearing it and it is a good for riding. I was an order in Medium size and it fits very well, what i want thanks guys. It is made with 100% real leather, not cheaply made, and looks just like the picture. I’ve always been a fan of Big Boss from the Metal Gear. I am very moody for everything in my life. I choose Metal Gear Big Boss Leather Jacket and ordered to jacketscreator. literally, it has fulfilled my standards. I had no new dress for coming Hallowen. But the time was issue. 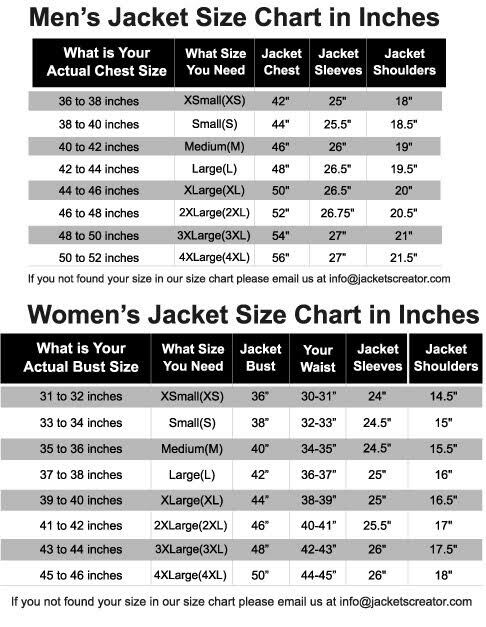 I selected Big Boss Metal Gear Solid V Leather Jacket and contacted to jacketscreator. They solved my issue and delivery was on time. I am very moody for everything in my life. I choose Big Boss Leather Jacket and ordered to jacketscreator. literally, it has fulfilled my standards.